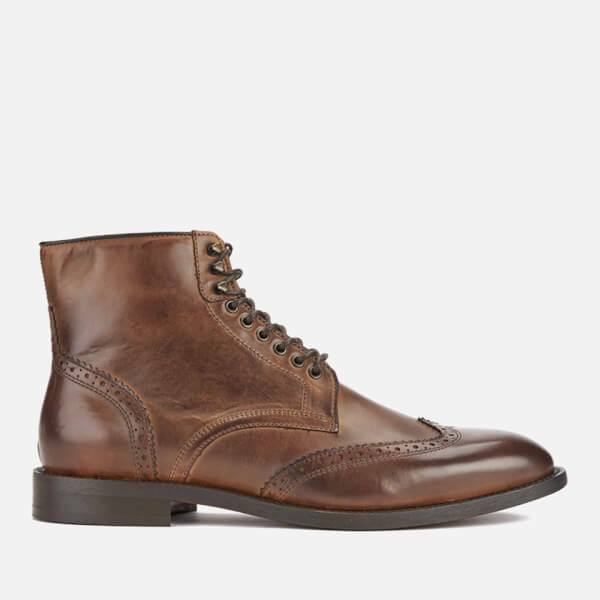 Men’s tan leather brogue boots from contemporary footwear label Hudson London. 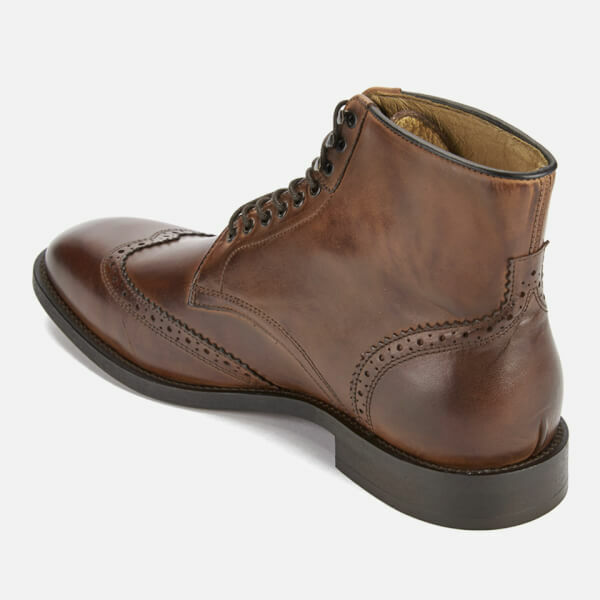 A modern alternative to the classic brogue, the ‘Greenham’ ankle boots are skilfully constructed from premium tan leather uppers. 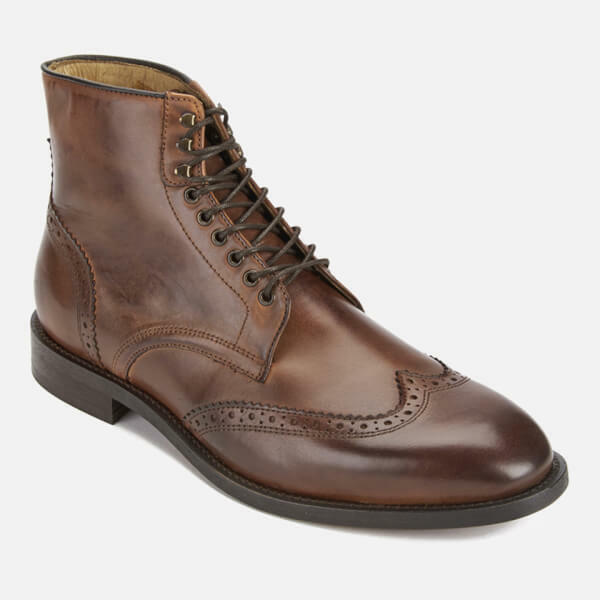 The boots comprise a waxed cotton lace up fastening, copper-toned eyelets and a pointed toe featuring an iconic wingtip design. 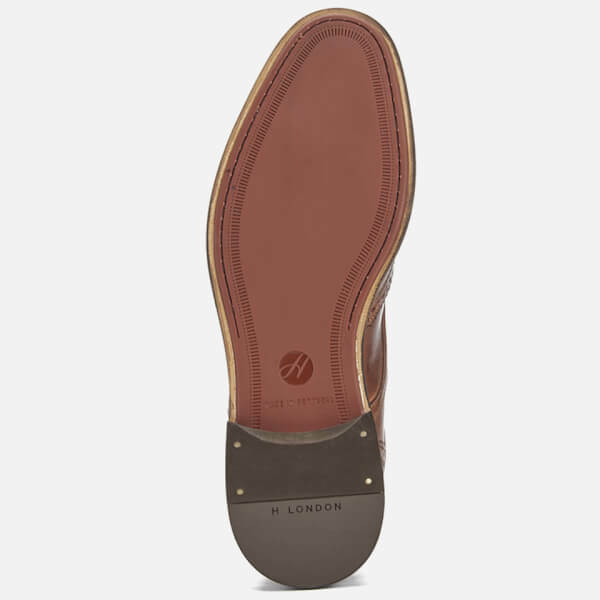 Fully lined in soft leather and set on a durable rubber heel for superior traction. 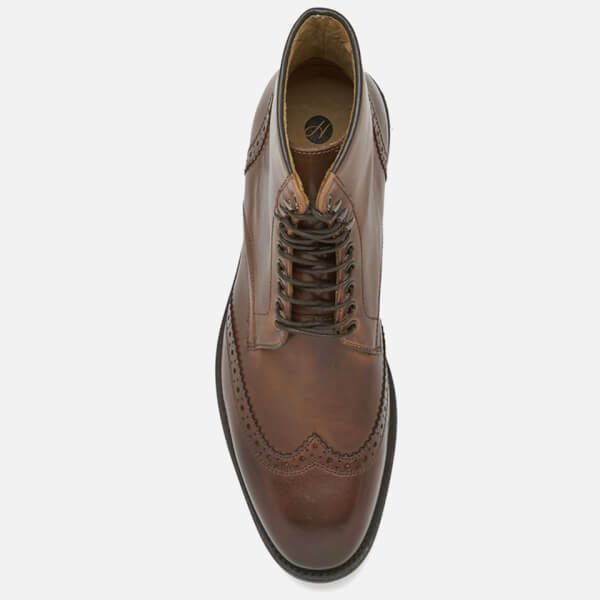 Complete with intricate perforated pattern detailing to the heel.